Artist Zach Lehner is the special guest this week as he celebrates the release of vol. 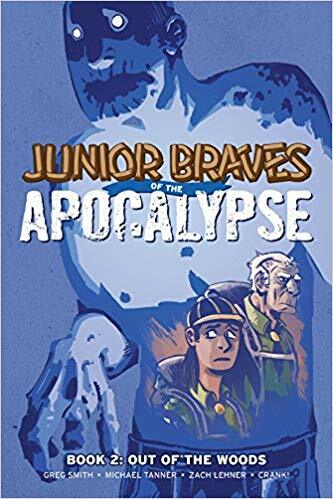 2 of “Junior Braves of the Apocalypse” from One Press, written by Greg Smith and Michael Tanner. Creating a horror comic for young adults is a delicate balance of pushing the edge of fear and violence. He discusses the inevitable “Walking Dead” comparisons and how it differs from “Lord of the Flies” or any other “teens in danger” tropes, and reaching out to libraries. Then a quick chat with Luke Foster, who draws a funny ghost cartoon. Brought to you by http://www.blackphoenixalchemylab.com where you can dabble in their new scents of hair gloss and bar soaps! As well as http://www.dcbservice.com, where you can find many of the Marvel and DC books as well as support indie creators all at deep discounts.